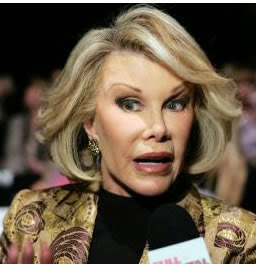 Although her family remains hopeful, Joan Rivers remains hospitalized in critical condition and learned that the controversial comedian is relying on machines to stay alive. In the coming days, the loved ones will have to decide whether to hold on or if the artist choose to disconnect, as TMZ published. Joan Rivers emergency was hospitalized last Thursday when she stopped breathing while undergoing throat surgery in a medical office. The comedian was 81 years then transferred to Mount Sinai Hospital in New York. Later, in a statement, her daughter Melissa Rivers Joan Rivers said she was "resting comfortably" with the family.